One of the biggest challenges faced by beginners is their ability to build stamina and endurance. A balance needs to be maintained as well. For any beginner, a lot of effort is needed to build muscular endurance, which helps the individual to train for long hours. There are a few exercises which help in building muscular endurance, balance, and stamina, especially in the case of beginners. These exercises help in improving endurance levels of the muscles so that they do not tire easily. Beginners should never ignore these workouts as they help in reducing fatigue and also help in reducing the risk of injury. Squatting is always beneficial for beginners. You need to begin by standing straight. Your feet shall be a little distance apart. Your toes will be pointed straight. You will slowly bend your legs and also drop the buttocks down. They should go down to the height of knees. Your knees shall be making a 90 degree, as you are at the end of the movement. As your weight is on the heels, you need to push yourself a little back and upright. You need to squeeze through the glutes as you go your way up. You need to perform at least 25 repetitions and 5 sets. You need to adjust the repetition numbers if you start feeling comfortable. To do this workout, you need to stand comfortably on the right leg. You will also raise your left leg at least 3-6 inches from the floor. Your arms shall be by your sides.You will slowly swing the left leg a bit forward and backward as you touch the floor for additional balance. You need to have your torso erect in this position. You need to repeat the movements but do not let your foot touch the ground. You can again swing towards the left side as you hold the arm out. You need to switch your legs and repeat the workout. You need to include this routine at least three times in a day. 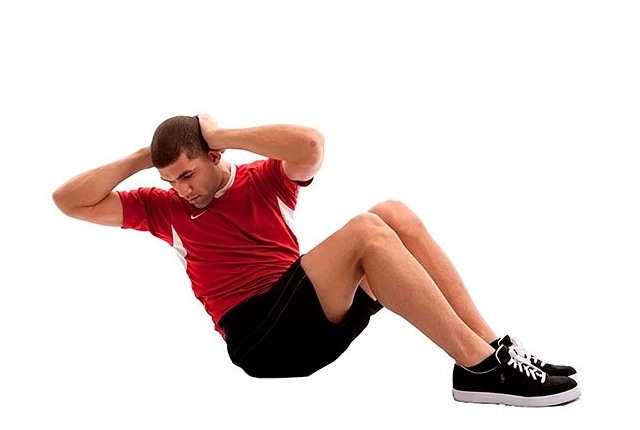 Start the workout by lying flat in a comfortable position. You will lie down flat, as you keep your legs bent. Your feet shall be completely flat on the ground. You need to also place the hands just beneath he neck. Your elbows shall be by your sides. You need to hold on to the muscles of the stomach and then bring your body up slowly. You need to resist all urges of any kind of movement when you are in this position. You need to bring up your body up a little while later. You need to also guide your body down in a controlled way so that you’re able to maximize the use of your muscles. You need to do at least 5 sets and each should be of 25 repetitions. You need to remember that when you are doing situps, you need to use a nice yoga mat so that your tailbone does not rub on the ground. This is quite a popular exercise amongst the youngsters. You need to start the workout with your feet hip distance apart. Your left foot shall be pointed out in front. It should be barely in touch with the floor for great balance. You need to slowly give a push to your hips and move down. This is said to be quite a challenging one legged squat position. In this workout, your right knee shall be bent. Your chest shall be upright and your eyes need to be forward. Your arms shall be out just in front. You can slowly push and get back to the start position. You need to switch your feet. You need to ensure that your knees do not push in front of toes. 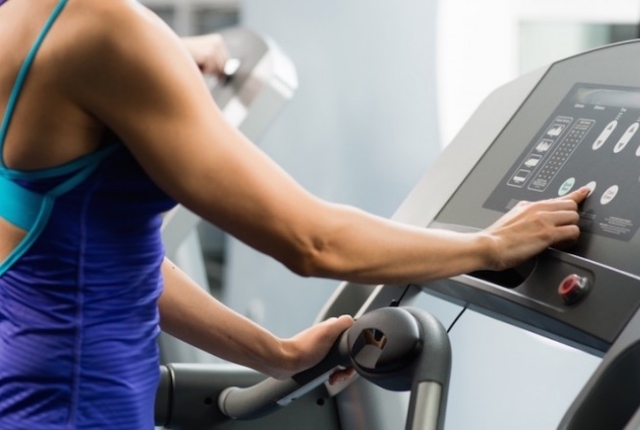 A treadmill is a great way to build stamina and endurance of muscles. 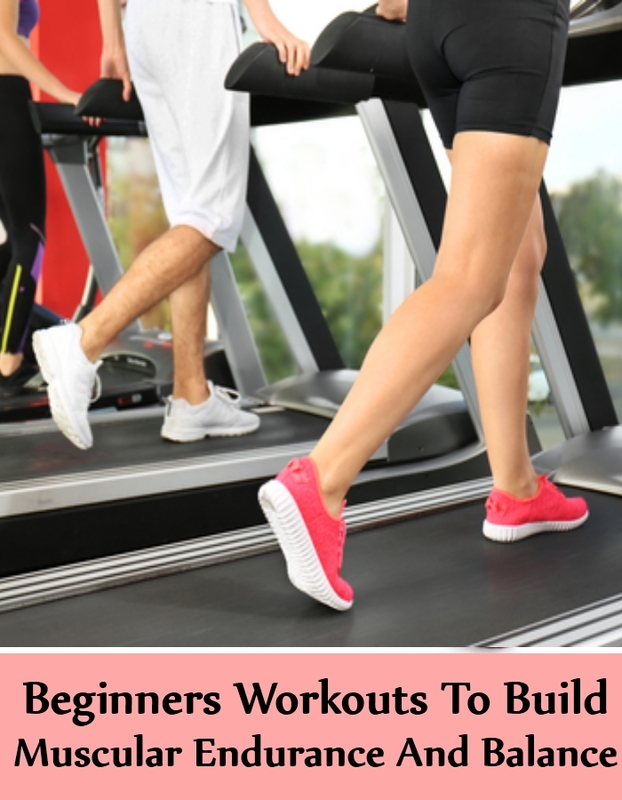 Beginners find the treadmill quite attractive and love to spend time on it. It is a great way to not just shed those extra calories but also a good way to build muscular strength. Start walking on the treadmill slowly as you start. You can then increase your pace of walking as much as you can. Walk briskly as you can for at least 10 minutes. You can take a break and continue once again. Brisk walking is one of those workouts which helps in building strength and stamina in the case of beginners. You need to have the right kind of shoes when you are working out on the treadmill.